Hillary Clinton met all the political challenges she faced in accepting the Democratic Party’s presidential nomination on Thursday: she spoke directly to economically anxious middle-class voters outside of the convention hall, displayed both a soft heart and a tough mind and set forth a liberal policy agenda for the country. 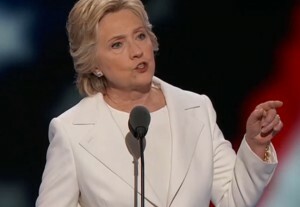 After several days of soaring and poetic, tough-act-to-follow speeches by President and First Lady Barack and Michelle Obama, former President Bill Clinton and others, Clinton’s speech was authentic but prosaic, a smart, detailed and confident reflection of who she is. Compared to Donald Trump’s huffing and puffing display of dark narcissism last week, Clinton’s 50-minute demonstration of knowledge, reason and experience clearly positioned her as a more credible and convincing figure to be president of the United States and leader of the Free World. “A man you can bait with a tweet is not a man we can trust with nuclear weapons,” she said at one point. Props to whoever on the speech team let the hanging reference to Trump’s small hands stay hanging. 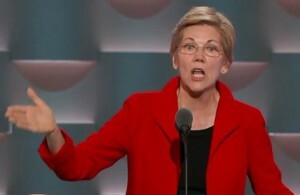 Seeking to disqualify Trump by highlighting his volatile temperament, she slashed at his egomania. Don’t believe anyone who says: “I alone can fix it.” ?Those were actually Donald Trump’s words in Cleveland. ?And they should set off alarm bells for all of us. ? Really? I alone can fix it? ?Isn’t he forgetting? ?Troops on the front lines. ?Police officers and fire fighters who run toward danger. ?Doctors and nurses who care for us. ?Teachers who change lives. ?Entrepreneurs who see possibilities in every problem.? ?Mothers who lost children to violence and are building a movement to keep other kids safe. He’s forgetting every last one of us.? ?Americans don’t say:?“I alone can fix it.” We say: “We’ll fix it together.”? Here’s a link to Clinton’s whole speech. Taming of the shrew: The emotional high point of the evening, as detailed below, was provided by Khizr Khan, a Muslim immigrant, whose son Capt. Humayun Khan, was killed in Iraq in 2004 by a vehicle filled with explosives, after sending his own men to safety. Shortly after, Clinton was introduced by daughter Chelsea, who described Hillary as “wonderful, thoughtful and hilarious,” dedicated to public service and filled with “compassion, faith, a fierce sense of justice and a heart full of love.” It was testimony from an adoring child, for sure, but effective in providing a softer look at a woman demonized by the right as a heartless shrew. Whatever party you belong to, or if you belong to no party at all, if you share these beliefs, this is your campaign.?? If you believe that companies should share profits with their workers, not pad executive bonuses, join us.? ?If you believe the minimum wage should be a living wage… and no one working full time should have to raise their children in poverty… join us. If you believe that every man, woman, and child in America has the right to affordable health care…join us. ?If you believe that we should say “no” to unfair trade deals… that we should stand up to China… that we should support our steelworkers and autoworkers and homegrown manufacturers…join us.?? If you believe we should expand Social Security and protect a woman’s right to make her own health care decisions… join us.?? And yes, if you believe that your working mother, wife, sister, or daughter deserves equal pay… join us…? ?Let’s make sure this economy works for everyone, not just those at the top. Now, you didn’t hear any of this from Donald Trump at his convention. ? ?He spoke for 70-odd minutes – and I do mean odd. ?And he offered zero solutions. But we already know he doesn’t believe these things.? ?No wonder he doesn’t like talking about his plans. ?You might have noticed, I love talking about mine. In my first 100 days, we will work with both parties to pass the biggest investment in new, good-paying jobs since World War II. ?Jobs in manufacturing, clean energy, technology and innovation, small business, and infrastructure. If we invest in infrastructure now, we’ll not only create jobs today, but lay the foundation for the jobs of the future. And we will transform the way we prepare our young people for those jobs. Commander in Chief: Even as she vowed to defeat ISIS and combat terrorism, she made the point that America cannot count on Trump to lead the fight. The choice we face is just as stark when it comes to our?national security. Anyone reading the news can see the threats and turbulence we face. From Baghdad and Kabul, to Nice and Paris and Brussels, to San Bernardino and Orlando, we’re dealing with determined enemies that must be defeated.? No wonder people are anxious and looking for reassurance — looking for steady leadership. That’s what Hillary was selling on Thursday night. Khizr Khan:? 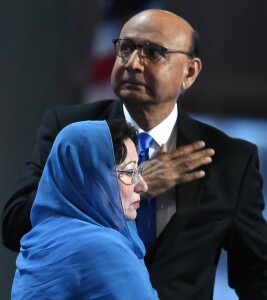 ?The most powerful speech of the night, and possibly the most important words delivered at either convention, was the subdued, seven-minute presentation by attorney, and Muslim immigrant, Khan. Khan, whose wife stood silently at his side, told the story of their son, Humayun, the middle of their three boys, who was killed by a suicide bomber while serving as a U.S. Army Captain in Iraq in 2004, during an act of heroism that saved the lives of others in his unit. The forceful dignity and humanity with which he described Humayun and his son’s quiet patriotism and courage stood as a redoubtable rebuke and public shaming of Trump’s hypocrisy and the hate he spews and incites about Muslims and immigrants. “Donald Trump, you are asking Americans to trust you with their future. Let me ask you: Have you even read the United States Constitution? 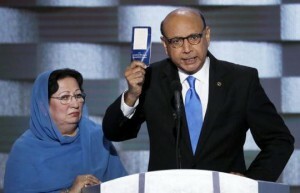 I will gladly lend you my copy,” Khan said, as he pulled a blue, pocket Constitution from his jacket. Wow. If you missed it, you’ll find it here. Kareem Abdul Jabbar:? Old Dr. Skyhook had the honor of introducing a video about Capt. Khan that preceded the appearance of the dead soldier’s parents. 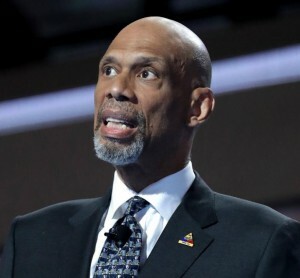 Although Calbuzzers of a certain age still instinctively remember Kareem as Lew Alcindor, we still weren’t fooled when he came on and introduced himself as someone else. Chelsea Clinton:?From Bubba’s first term in the White House, the Clintons always have been fiercely protective of daughter Chelsea, up to and beyond her years at Stanford. 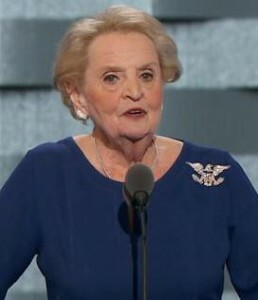 Although she’s now joined the family business, we’ve rarely seen her deliver a speech, let alone a major convention address. So the first few minutes of her introduction of Hillary were a little disorienting, as we struggled to piece together separate elements of her face – were those Bill’s eyes and Hillary’s nose, or the other way around? – and then to stop cringing at the cloying voice with which she began her treacly recitation (oddly, it put us in mind of the disaster that was Francis Ford Coppolla’s casting of his own daughter, Sophia, in “Godfather III.” But we digress). Eventually Chelsea found her stride and, as for us, all those colors and lights swirling across our eyeballs retreated, and we finally awarded her a solid B on her near-impossible assignment of trying to make Hillary’s negatives go down by making her seem like an actual human being through the device of lovey-dovey stories from her childhood (at least she spared us whatever goo-goo ghee-ghee nicknames her own kids call Hillary) when every person in America knew that’s exactly what Chelsea was up to. As for the short Hillary intro doc: We’re saving up to hire Morgan Freeman to narrate a brave corporate odyssey film about Calbuzz. 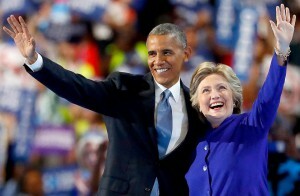 In one of the most powerful convention endorsement speeches ever made by a sitting president, Barack Obama on Wednesday masterfully reshaped Donald Trump’s division of the nation into “us and them” — putting Hillary Clinton, the middle class and American values on one side and the New York narcissist alone on the other. 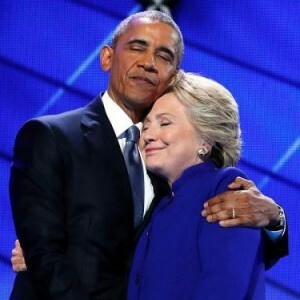 It was a consummate rhetorical stroke by Obama, who said, “there has never been a man or a woman more qualified than Hillary Clinton to serve as President.” His address followed searing attacks on Trump and testimony for Clinton from Leon Panetta, Michael Bloomberg, Joe Biden and Tim Kaine. We are not a fragile or frightful people. Our power doesn’t come from some self-declared savior promising that he alone can restore order. We don’t look to be ruled. Our power comes from those immortal declarations first put to paper right here in Philadelphia all those years ago; We hold these truths to be self-evident, that all men are created equal; that together, We, the People, can form a more perfect union. 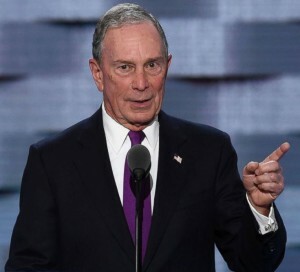 Besides Obama’s, the most important speech of the night belonged to former New York Mayor Michael Bloomberg, a political independent who at one point considered launching his own non-partisan campaign for president. “Let’s elect a sane, competent person with international experience,” he said. Today, as an Independent, an entrepreneur, and a former mayor, I believe we need a president who is a problem-solver, not a bomb-thrower; someone who can bring members of Congress together, to get big things done. 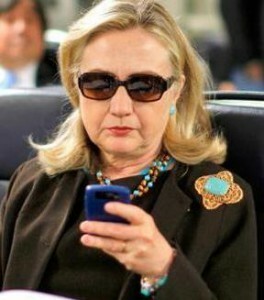 And I know?Hillary Clinton?can do that, because I saw it firsthand!.. Throughout his career, Trump has left behind a well-documented record of bankruptcies, thousands of lawsuits, angry shareholders and contractors who feel cheated, and disillusioned customers who feel ripped off. Trump says he wants to run the nation like he’s run his business. God help us. Trump says he’ll punish manufacturers that move to?Mexico?or?China, but the clothes he sells are made overseas in low-wage factories. He says he wants to put Americans back to work, but he games the U.S. visa system so he can hire temporary foreign workers at low wages. He says he wants to deport 11 million undocumented people, but he seems to have no problem in hiring them. What’d I miss here?! Truth be told, the richest thing about?Donald Trump?is his hypocrisy. He wants you to believe that we can solve our biggest problems by deporting Mexicans and shutting out Muslims. He wants you to believe that erecting trade barriers will bring back good jobs. He’s wrong on both counts…. To me, this election is not a choice between a Democrat and a Republican. It’s a choice about who is better to lead our country right now: better for our economy, better for our security, better for our freedom, and better for our future…? Bloomberg’s full text is here. Vice President Joe Biden not only delivered plenty of red meat to the liberal crowd but also performed the political more crucial mission of speaking directly to the white, working class voters that have abandoned the Democrats in large numbers and now form Trump’s base. 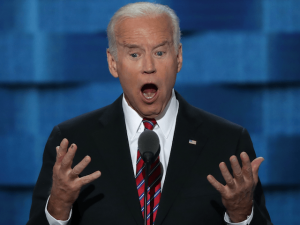 Having grown up blue collar in Pennsylvania and Delaware, Biden’s heart-on-the-sleeve passion, gravelly voice and blustery rhetorical style, which would sound phony in most other politicians, is authentic and he used his throwback speechmaking style and skill to offer himself as a character witness for Clinton’s concern for the middle class while attacking Trump as a phony concerned only about himself. …Let me say this as clearly as I can, if you live in the neighborhoods like the ones Jill and I grew up in, if you worry about your job and getting a decent pay, if you worry about your children’s education, if you are taking care of an elderly parent, then there is only one person in this election who will help you, only one person in this race who will be there, who has always been there for you, and that is Hillary Clinton’s life story. Not just who she is, it is her life story. She is always there. Ladies and gentlemen, let’s say the obvious, that is not Donald Trump’s story. This guy does not have a clue about the middle class. Not a clue. Because folks, when the middle class does well, the rich do very well and the poor have hope. They have a way out. He has no clue about what makes America great. Actually, he has no clue period. Folks, let me say, let me say something that has nothing to do with politics. Let me talk about something that I’m deadly serious about. This is a complicated and uncertain world we live in. The threats are too great, the times are too uncertain, to elect Donald Trump as president of the United States. Let me finish, no major party, no major party nominee in the history of the station has ever known less or been less prepared to deal with our national security. We cannot elect a man who exploits our fears of ISIS and other terrorists, who has no plan whatsoever to make us safer. A man who embraces the tactics of our enemies, torture, religious intolerance, you all know. Other Republics know, that is not who we are. It betrays our values. It alienates those who we need in the fight against ISIS. Donald Trump, with all his rhetoric, would literally make us less safe. We cannot elect a man who belittles our closest allies while embracing dictators like Vladimir Putin. I mean it. A full Biden transcript is here. Surrounded by great speakers, newly minted Vice Presidential nominee Tim Kaine came as advertised: a little dull, a little plodding and astonishingly normal. 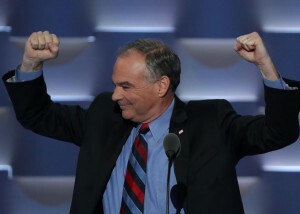 But Kaine achieved multiple aims in his address: he positioned himself as a natural centrist, summing up his life story as the son of a blue collar small businessman and son-in-law of a moderate local Republican politician, with values shaped by working with poor people in Honduras; he established himself as Hillary’s cheerleader-in-chief; he introduced a not-bad Trump imitation in using humor more than anger to attack the GOP candidate; and he rolled out his Spanish language skills, busting several bilingual moves that drew big cheers. “Donald, what are you hiding?” he asked about Trump’s refusal to release his tax returns, a refrain that will no doubt soon become very familiar. 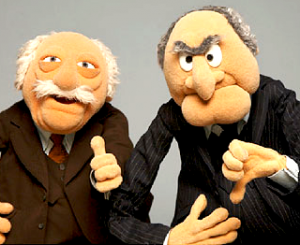 …Anne’s parents, Lin and?Jinks, are here today,?90-plus?and going strong. ?Lin’s still a Republican. ?But he’s voting for a lot of Democrats?these days. ?Because any party that would nominate?Donald Trump for president?has moved too far away from his?party of Lincoln. ?And if any of you are looking for that party of Lincoln, we’ve got a home for you right here in the Democratic Party…. Here’s a little tip for you:?When you want to know about the character of someone in public life, look to see if they have a passion, one that began before they were in office, and that they have consistently held on to throughout their career. You know who?I?don’t trust? 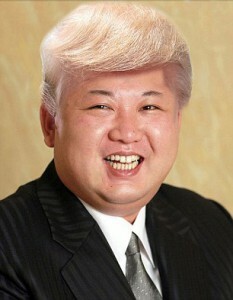 ?Donald Trump. ?The guy promises a lot. ?But you might have noticed, he has a habit of saying the same two words right after he makes his biggest promises. ?You guys know the words?I?mean? ?‘Believe me. It’s?gonna?be great – believe me! ?We’re?gonna?build a wall and make Mexico pay for it – believe me! ?We’re?gonna?destroy ISIS so fast?–?believe me! ?There’s nothing suspicious in my tax returns?–believe me!”? By the way, does anyone here believe that Donald Trump’s?been paying his fair share of taxes? Do you?believe?he ought to release those tax returns like every other presidential candidate in modern history? ?Of course he should. ?Donald, what are you hiding? Not Donald Trump. ?He never tells you how he’s going to do any of the things he says he’s going to do. ?He just says,?“believe me.”?So here’s the question. ?Do you really believe him? ?Donald Trump’s whole career says you better not. Small contractors?–?companies just like my?dad’s?–believed him when he said that he’d pay them to build a casino in Atlantic City. They did the work, hung the drywall, poured the concrete. ?But a year after opening, Trump filed for bankruptcy. ?He walked away with millions. ?They got pennies?on the dollar. ?Some of them went out of business. ?All because they believed Donald Trump. Retirees and families in Florida believed Donald Trump when he said he’d build them condos. ?They paid their deposits,?but?the condos?were never built. ?He just pocketed their money, and walked away. ?They lost tens of thousands of dollars, all because they believed Donald Trump.? Charity after charity believed Donald Trump when he said he would contribute to them. ?And thousands of Trump University students believed Donald Trump when he said he would help them succeed. ?They got stiffed. He says “believe me.”?Well, his creditors, his contractors, his laid-off employees, his ripped-off students did just that. ?Folks, you cannot believe one word that comes out of Donald Trump’s mouth. Our nation is too great to put it in the hands of a slick-talking, empty-promising, self-promoting, one man wrecking crew…So, do you believe him? Does anybody here believe him? Kaine’s speech text is here. 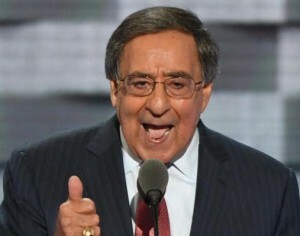 Former CIA Director and Secretary of Defense Leon Panetta presented a strong national security case against Trump, stopping just short of accusing the hirsute human Chucky doll of treason for his off-the-wall comments earlier in the day, inviting the Russians to hack Clinton’s email. But Panetta’s speech also featured the only sour note of the evening, when lefty delegates, many from California (why do we feel certain that human leaf blower Norman Solomon was among them? ), shouted “No More War” – stupidly interrupting the guy who is a national hero for commanding the troops who killed Osama Bin Laden. Although he struggled at times to be heard, Panetta made a clear and convincing argument, saying that Trump has proven himself “truly not qualified” to lead the country. You’ve got now a presidential candidate who is in fact asking the Russians to engage in American politics and I just think that’s beyond the pale. I have a lot of concerns of his qualities of leadership or lack thereof. That kind of statement only reflects the fact that he truly is not qualified to be president of the United States. 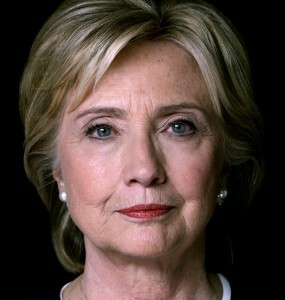 Hillary Rodham Clinton on Tuesday became the first woman ever nominated for president by a major political party. After the 68-year old Clinton won a majority of votes in the roll call of states, Senator Bernie Sanders, her rival in a long and fierce primary battle, stood on the convention floor with his home state Vermont delegation and pledged his 1,865 delegates to her, moving to end the roll call and name Hillary the Democratic Party’s standard bearer against the Republican vulgarian Donald Trump. 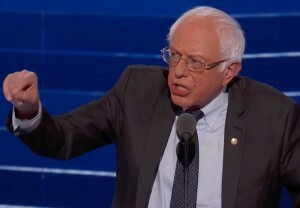 “I move that the convention suspend the procedural rules,” he said in Philadelphia’s Wells Fargo Center. 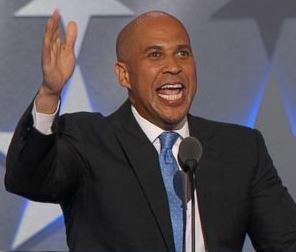 “I move that all votes, all votes cast by delegates be reflected in the official record and I move that Hilary Clinton be selected as a nominee of the Democratic Party for President of the United States.”. A few hours later, Clinton herself appeared before the delegates via satellite feed from New York; in a spectacular piece of political performance production, the giant screen behind the speaker’s stand showed a montage of the nation’s previous 43 white male presidents plus Barack Obama, then appeared to shatter into many pieces (sort of like a glass ceiling, uh, if it was, um, a glass wall) to reveal the former First Lady, U.S. 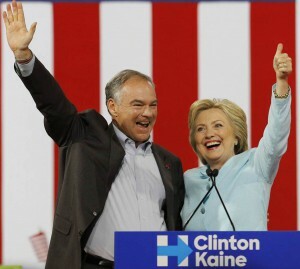 Senator and Secretary of State, beaming. In between, there was a host of speeches celebrating her groundbreaking gender achievement, plus an emotional 44-minute keynote narrative by former president and wannabe First Dude Bill Clinton which sought to humanize his wife, a political rehab assignment aimed at easing terrible poll numbers that show she is widely disliked and mistrusted. So what’s up with it? Well, if you win elections on the theory that government is always bad and will mess up a two-car parade, a real change-maker represents a real threat.? So your only option is to create a cartoon, a cartoon alternative, then run against the cartoon. Cartoons are two- dimensional, they’re easy to absorb. Life in the real world is complicated and real change is hard. And a lot of people even think it’s boring. 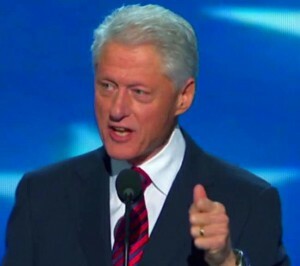 Full disclosure: Sharply differing reactions to the beginning of Bill Clinton’s speech, in which he recounted meeting and courting Hillary Rodham at law school, led to a full scale brawl among the National Affairs Desk watching in the Calbuzz Sky Box in coastal California. One faction saw it?as a tender and charming Southern story, in the style of Harper Lee, about a young man smitten and determined to win the talented girl of his dreams, the start of a lifelong committed partnership. The other saw it as a creepy, cringeworthy tale of stalking seduction by a notorious horndog and future blue dress stainer. If you’re a young African American disillusioned and afraid, we saw in Dallas how great our police officers can be, help us build a future where nobody is afraid to walk outside, including the people that wear blue to protect our future. We know what it’s like to step off that plane with United States of America on it. She knows that safeguarding freedom and security is not like hosting a TV reality show. It is a complex round the clock job that demands not only a steady hand and a cool head but also a big heart. You are not just representing yourself. You’re there for all of us. Many have argued that Donald Trump would harm our national security if he were elected president. The fact is, that he has already done damage just by running for president. He has undermined our fight against terrorism by alienating our Muslim partners, he has weakened our standing in the world by threatening to walk away from our friends and our allies and by encouraging more countries to get nuclear weapons. Donald Trump also has a strange admiration for dictators: Saddam Hussein, Kim Yung Un, Vladimir Putin. When asked about Putin, Donald Trump said, and I quote, “In terms of leadership, he’s getting an A.” The truth is, a Trump victory in November would be a gift to Vladimir Putin. And given what we’re seen about the Russians recent actions, Putin is eager to see Trump win. And that should worry every American. Take it from someone who fled the Iron Curtain. I know what happens when you give the Russians a green light. Trump’s dark vision of America, one that’s isolated in the world and alienated from our allies would be a disaster. We must make sure that this never happens. We must elect Hillary Clinton as our next president. 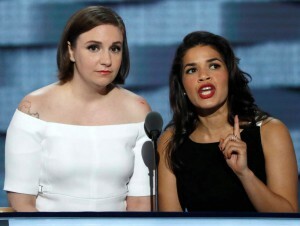 Shocker – Hollywood types for Hillary:?There also was a full complement of entertainment and political celebrities on hand, from Barbara Boxer to Meryl Streep, to lend their endorsements, for what they’re worth, to the Clinton cause. No word yet from the thrice-married, yellow-orangish combover king about Dunham’s numerical estimate. 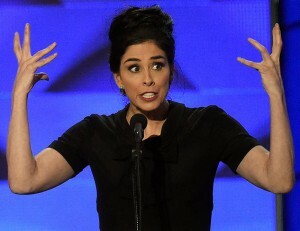 The opening of the Democratic National Convention featured four terrific, formal speeches by heavyweight pols, but it was stand-up comic Sarah Silverman’s ad lib that delivered the pivotal line of the night. Delivered from the podium as she vamped with comedian qua U.S. Senator Al Franken, a longtime Clinton backer, Silverman’s crack seemed to shift the energy and political momentum of opening night: after a long day of near-chaos in Philadelphia, during which Sanders dead-enders forced the sudden resignation of the DNC chair in an email scandal, organized large and raucous street protests and even booed their own candidate when he urged them to get behind Clinton, as he has, Silverman’s one-liner smacked the Bernie-bots upside their heads. At least that’s how it looked to us. But, hey, whadda we know, we’re just watching it from the couch, sucking on some Red Stripes and chowin’ down Crunchy Cheddar Jalapeno Cheese Flavored snacks, like everybody else. Paul Simon at 74: Silverman’s schtick with Franken was to hold hands – “like a bridge,” one or both of them said; we can’t quite remember because we cringed and looked away at their corny set-up of an introduction of Paul Simon to sing “Bridge Over Troubled Water” as a symbol of, you know, unity. Or something. From there, however, things could not have not gone better for Hillary. 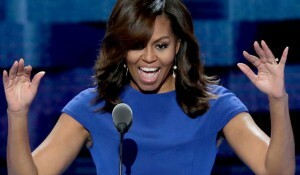 While it may have mattered somewhat in the hall, it certainly made no difference to the tens of millions watching at home, as First Lady Michelle Obama parked one in the third deck with a memorable address (no word yet on plagiarized content), surrounded by impressive oratory by New Jersey Senator Cory Booker, Massachusetts Senator and progressive rock star Elizabeth Warren and ole’ Bernie himself. Here are some highlights from the important speeches..
That is what Barack and I think about every day as we try to guide and protect our girls through the challenges of this unusual life in the spotlight. How we urge them to ignore those who question their father’s citizenship or faith. How we insist that the hateful language they hear from public figures on TV does not represent the true spirit of this country. How we explain that when someone is cruel, or acts like a bully, you don’t stoop to their level. No, our motto is: When they go low, we go high. I wake up every morning in a house that was built by slaves. And I watch my daughters, two beautiful, intelligent, black young women, playing with their dogs on the White House lawn. 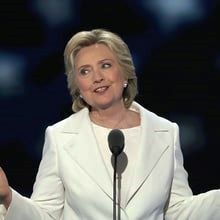 And because of Hillary Clinton, my daughters and all our sons and daughters now take for granted that a woman can be president of the United States. So look. So, don’t let anyone ever tell you that this country isn’t great—that somehow we need to make it great again—because this right now is the greatest country on earth. And as my daughters prepare to set out into the world, I want a leader who is worthy of that truth. When she didn’t win the nomination eight years ago, she didn’t get angry or disillusioned. Hillary did not pack up and go home, because as a true public servant, Hillary knows this is so much bigger than her own desires and disappointments. When you have the nuclear codes at your fingertips and the military in your command, you can’t make snap decisions. You can’t have a thin skin or a tendency to lash out. You need to be steady and measured and well informed. I want a president with a record of public service, someone whose life work shows us and shows our children that we don’t chase fame and fortune for ourselves, we fight to give everyone a chance to succeed. I respect and value the ideals of rugged individualism and self-reliance. But rugged individualism didn’t defeat the British, it didn’t get us to the moon, build our nation’s highways, or map the human genome. We did that together. This is the high call of patriotism. Patriotism is love of country. But you can’t love your country without loving your countrymen and countrywomen. We don’t always have to agree, but we must empower each other, we must find the common ground, we must build bridges across our differences to pursue the common good. Americans, at our best, stand up to bullies and fight those who seek to demean and degrade others. In times of crisis we don’t abandon our values – we double down on them. Even in the midst of the Civil War, Lincoln called to the best of the country by saying, “With malice toward none and charity toward all.” This is the history I was taught. 240 years ago, an English King said he would crush our rebellion, but Americans from around our nation joined the fight. From Bunker Hill to the Battle of Trenton, they stood, and so many fell giving their lives in support of our daring declaration that: America, we will rise. This is our history: escaped slaves, knowing that liberty is not secure for some until it’s secure for all, sometimes hungry, often hunted, in dark woods and deep swamps, they looked up to the North Star and said with a determined whisper, America, we will rise. My fellow Americans, we cannot fall into complacency or indifference about this election, because still the only thing necessary for evil to be triumphant is for good people to do nothing. My fellow Americans, we cannot be seduced into cynicism about our politics, because cynicism is a refuge for cowards and this nation is and must always be the home of the brave. We are the United States of America. We will not falter or fail. We will not retreat or surrender – we will not surrender our values, we will not surrender our ideals, we will not surrender the moral high ground. Here in Philadelphia, let us declare again that we will be a free people. Free from fear and intimidation. Let us declare that we are a nation of interdependence, and that in America love always trumps hate. Let us declare, so that generations yet unborn can hear us. We are the United States of America; our best days are ahead of us. And together, with Hillary Clinton as our President, America, we will rise. Look at Congress since the Republicans took over. Democrats proposed refinancing student loans and Republicans? They said no. Democrats proposed ending tax breaks for corporations that shipped jobs overseas, and Republicans said no. Democrats proposed raising the minimum wage and Republicans? They said no. To every Republican in Congress who said no: This November, we’re coming for you. And where was Donald Trump? In all of these fights, not once did he lift a finger to help working people. And why would he? His whole life has been about taking advantage of that rigged system. Time after time, he preyed on working people, people in debt, people who had fallen on hard times. He’s conned them, he’s defrauded them, and he’s ripped them off. Look at his history. Donald Trump said he was “excited” for the 2008 housing crash that devastated millions of American families because he thought it would help him scoop up more real estate on the cheap. Donald Trump set up a fake university to make money while cheating people and taking their life savings. Donald Trump goes on and on and on about being a successful businessman but he filed business bankruptcy six times, always to protect his own money and stick the investors and contractors with the bill. Donald Trump hired plumbers and painters and construction workers to do hard labor for his businesses and then he told them to take only a fraction of what he owed or fight his lawyers in court for years. So what kind of a man acts like this? What kind of a man roots for an economic crash that caused millions of people their jobs, their homes, their life savings? What kind of a man cheats students, cheats investors, cheats workers? I’ll tell you what kind of a man — a man who must never be president of the United States. Never. 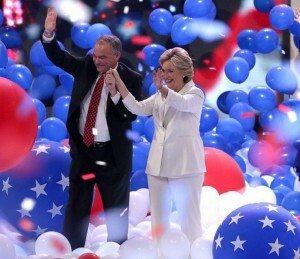 And we’ve got the leaders to make it happen: Hillary Clinton and Tim Kaine. They’re going to make it happen. 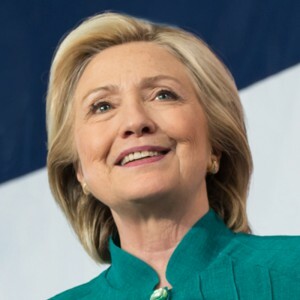 By these measures, any objective observer will conclude that – based on her ideas and her leadership – Hillary Clinton must become the next president of the United States. Next up: The formal clinch by Clinton, with Sanders’ name also put into nomination and his delegates given a chance to vote for him — a good old roll call of the states, great news for old school political junkies. Convening in Philadelphia this week, Hillary Clinton’s Democratic Party must counter Donald Trump’s fear and loathing GOP convention by offering a practical and promising economic message targeted at beleaguered and persuadable middle class voters in the Midwest, especially western Pennsylvania and Ohio. It won’t hurt to aim a few reassuring words at the Medicare and Social Security generation in Florida, either. As a tactical matter, Clinton, her moderate vice presidential pick, Virginia Sen. Tim Kaine, and other allies would be smart to calm down the hot-headed lefty backers of the vanquished Sen. Bernie Sanders. They are newly aroused by the Wikileaks disclosure of Democratic National Committee emails confirming their bitter allegations that soon-to-be-ex chair Debbie Wasserman Schultz secretly influenced the nomination process on Hillary’s behalf. The Sanders portsiders aren’t all that thrilled about Kaine either, particularly given his DLC style and previous support for the TPP trade agreement, which he flip-flopped on last week; a few are wary of his Jerry Brown-like stand on abortion rights — publicly pro-choice but personally opposed, and his “mixed choice” record as Virginia governor — although?NARAL?now says he’s 100% with them on the issue. 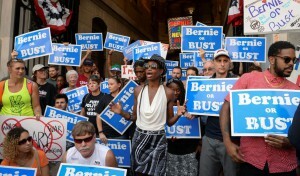 And we are here especially for the Bernie Sanders movement that does not want to go back into that dark night, into the Hillary Clinton campaign, that for so many people represents the opposite of what Bernie was building and what they were building. Although Stein now is little more than an annoying asterisk in national polls, winning even a few percentage points in key states — ?a possibility given the number of Sanders voters who still reject Bernie’s lead and say they’re not ready to vote for Clinton — could damage Hillary in the same way Ralph Nader screwed Democratic Al Gore in the 2000 election. The Donald’s long shot: Trump’s only hope of overcoming Clinton’s natural Electoral College dominance is to cash in on the economic frustrations and resentments of independent and up-for-grabs white working class voters in the Midwest. So Clinton needs to fiercely fend off Trump’s industrial state strategy by offering believable solutions for un-and-underemployment, lagging wages and fury at smug Beltway elites and the 1 percent. You know, people like Clinton. Specifically, Philadelphia and its suburbs have become more Democratic in recent years but Pennsyltucky out west has become more Republican. If she captures Pennsylvania and Ohio, where Trump was running even before his ghastly convention, and also wins Kaine’s Virginia and Florida – the would-be veep’s Spanish fluency won’t hurt, as demonstrated by the enthusiastic reception he won in Florida in his debut campaign appearance over the weekend — she’ll be on the verge of a landslide. Whatever happens in the streets or back rooms, there is likely to be little genuine controversy inside the hall, with Sanders already on board, as second-place GOP finisher Sen. Ted Cruz decidedly was NOT for Trump. It’s the economy, knuckleheads: Overall, Democrats need to present a message and persona that is compassionate but hardheaded, caring but tough, bold yet sensible – not smug, self-regarding, ultra-liberal and elite. To date, Clinton’s?economic message has been a combination of substantive, if incremental, programs like increased government infrastructure spending, tax reforms to punish companies that outsource jobs and insurance against college students being crippled by debt; she also can credibly argue that her decades of Washington experience and mastery of policy details position her to succeed in actually passing some of her agenda, or at least fighting congressional Republicans more effectively than President Obama. How much the latter sells in a year of pitchfork populism remains unclear. Whether her wonky promises are enough – or if she unveils some more sweeping thematic approach – may determine whether she wins a landslide or Trump threatens a stunning upset. Her damn emails: There’s little chance that Clinton can do anything in four days to overcome the baked-in public opinion — a result not only of the Clintons’ trademark guileful, parsing style, but also of decades of GOP propaganda — that she is dishonest, sneaky and untrustworthy. More: her high-profile backers – including Obama and Big Dog qua wannabe First Husband Bill Clinton – need to scare the hell out of people about Trump’s whack job personality, Kim Il Jung authoritarianism and nationalist aggression – without overshadowing Hillary. It also wouldn’t hurt for her to show a glimpse of personality behind all the eat-your-spinach-in-the-principal’s office earnestness.